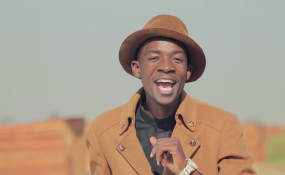 Sensational Zimdancehall chanter, Jah Signal born Nicodemus Mutize says he vowed to never take advantage of his fame and get entangled into romantic relationships with his female fans. Jah Signal was speaking during an interview with Zone In Media, an online media organisation where he expressed his seemingly political approach of "every vote counts" mantra. The lanky crooner said he feels each female fan he sleeps with is a subtraction from his huge fan base. "I vowed never to get in a romantic relationship with my female fans because it would appear as if I will be taking advantage of their love for my music. It is probably the reason why I have not had any scandals like some artists. "I believe each fan I sleep with is a subtraction from my fanbase," said the "Stonyeni" hitmaker. On the same platform, Jah Signal was hailed by his manager, Hillary Mutake for his good manners. "The greatest thing I love and believe will take Jah Signal to places is his focus. He is also a very humble person and has some good manners, something that is quite hard to find in today's artists. I also love the fact that he has managed to stay away from drugs," said Mutake.